A sagging roof is a sure sign that something needs repairing fast. Not only is it an eyesore, it is a huge safety hazard and contacting a residential roofing contractor is a first priority. It is not safe to attempt climbing on to your roof to inspect it. If it is already sagging, the roof won’t hold your weight which could lead to you falling through. 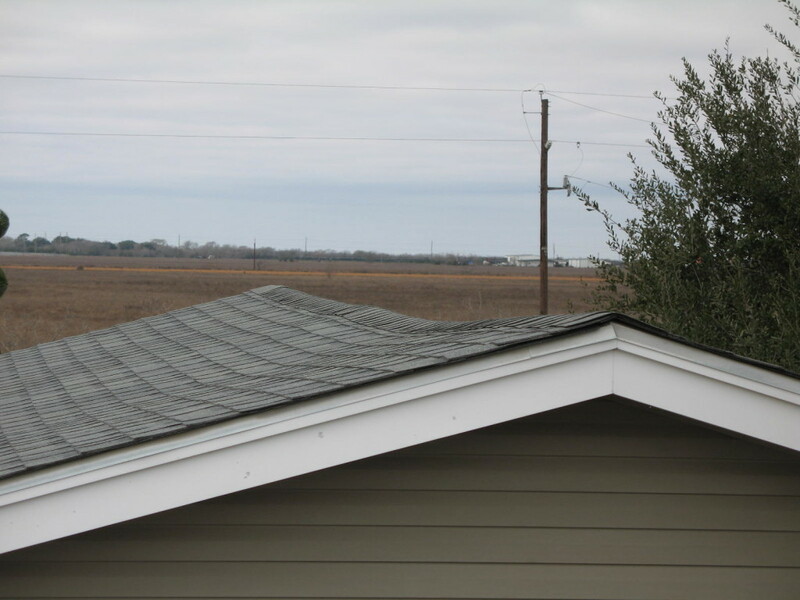 There are many causes as to why a roof may sag. We’ll take a look at some common causes below. Joists are the large blocks of wood that run parallel to each other across the ceiling. Rafters are vertical beams that hold that actual load of a roof (for example the shingles) and makes up the roof’s framework. The joists and rafters work together to support the walls of your home and your roof. When these beams become worn due to wear and tear, aging, and in some cases extreme weather, they lose their strength. They begin to dip under the strain and thus, causes your roof to sag. Another common cause for a sagging roof is too much weight. Your joists and rafters can lose structural strength over time. The weight that comes from items like heavy shingles, snow, puddles, and debris can cause your roof to sag. Even sloping roofs can still collect snow and debris. Eventually, the weight becomes too much for your roof to bear. Besides the snow, the sun and rain can also wreak havoc on your roof. The UV rays of the sun can weaken away the surface of your roof over time. Shingles can crack and rain water can seep in through these cracks eventually reaching your rafters. The moisture can lead to rot which weakens the rafters and eventually cause sagging. 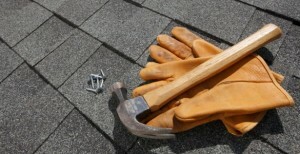 If you are experiencing a sagging roof, it is important to contact a roofer right away. An experienced roofer can asses the damage and explain how and why your roof is sagging, as well as how to repair the damage. Contact us today and receive a free estimate utilizing a thorough on-site inspection. Oftentimes we think roofs passively sit atop a building providing shelter to the inhabitants from rain and other weather elements. In other words, a roof is often viewed as a hat for your home or business. But commercial and residential roofing is far more important than that. Many people only see the cost to repair or replace a roof and think it’s best left for later, but waiting can become costly. Consider these ways that a new or repaired roof could save you money. 1. A roof protects the vital, structural components of any building. Think of the cost to repair or replace damaged siding or framing for your home. A roof in poor repair can cause leaks and problems for these places in your home or office. Repairing these components can not only be costly, but problems with these areas can lead to further problems with the entire structure down the road. A choice to defer roof repair or replacement is a choice to gamble with the entire integrity of your home or office building. 2. You’re saving a lot of time and headache caring for the roof proactively rather than waiting because a leaky or ill-performing roof can lead to damage to the interior of your home. Places where leaves and twigs have collected and stayed on your roof might have led to soft spots and these can cause damage to your flooring, interior walls, and possessions inside your home or office. Not to mention the downtime required while you take care of the mess. And then you still have a problematic roof on top of it all. 3. Damage to your roof and gutter system can lead to overflow of water when rains come down. Clogged gutters can ruin roofing materials that stay wet all the time and sit next to decomposing materials. In turn, the displaced water from the clogged gutters can lead to water pooling around your foundation. This is the easiest way to get flooding as water leaks slowly through your foundation. All of this can destabilize your foundation as well. Think of our roofing team at Roofity as the professionals to help you keep your whole house in order by keeping your roof in proper working order. 4. A roof is more than shingles sitting on top of your house. It’s able to insulate your home to make sure outdoor temperatures stay outside. With a new roof installed by our team of certified professionals, you’ll be able to spend less on heating and cooling your home or office. A quality roof can save you an incredible amount of money as well as protecting your investment. Ask for a quote from our team of professionals at Roofity. You’ll find roof repair and replacement a hassle-free way to safeguard the things that you keep under your roof. Call us to find a qualified, experienced commercial and residential DFW roofing contractor. Trust us to protect your most important investments so you can spend your time and energy on the things that matter most to you.